After enjoying the Daveste Vineyards Traminette (see my review) a couple of weeks ago, I decided to try and make some myself. 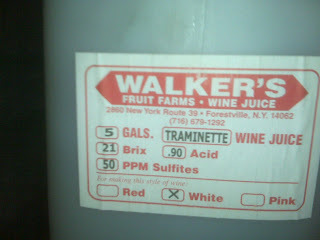 I ordered a 5 gallon jug of Traminette juice from Walker's Wine Juice. Walker's treats all their juice with heat pasteurization, so that there's nothing growing/living in it when they ship it out. The Trimanette would have been grown in the New York state area, if I had to guess, near the Finger Lakes. Walker's always releases the juice at 21o brix, so it should make the wine 11% to 12% alcohol by volume, which is perfect for this type of wine in my opinion. My plan is to transfer the juice to a six gallon carboy (so I have room for any foaming), use the EC-1118 yeast, and have the carboy in my freezer (with the thermostat set to 60o F) during fermentation. You have to ferment white wine juice at cooler temperatures to keep the aromas and some of the taste intact. As a home winemaker, the freezer setup is the best I can do. Commercial wineries have large stainless steel vats that have cooling jackets on them to keep the must cool. I don't have that kind of money. I also plan to use lysozyme to prevent any unwanted malolactic fermentation from occurring. I have had "unintentional" malolactic fermentations occur before with Chardonnay, and I was introduced to lysozyme as a product to prevent it at the Winemaker Magazine conference. I am really excited about using it and hope it works out. I prefer my white wines to stay crisp, instead of having a buttery texture. I'll keep everyone informed as to how well this wine progresses. 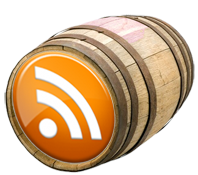 Keep us informed how the Traminette goes. I'm curious to hear what you think of the Walkers juice. I'm with Noel. I haven't used them yet so I am curious about their product. So far, so good. 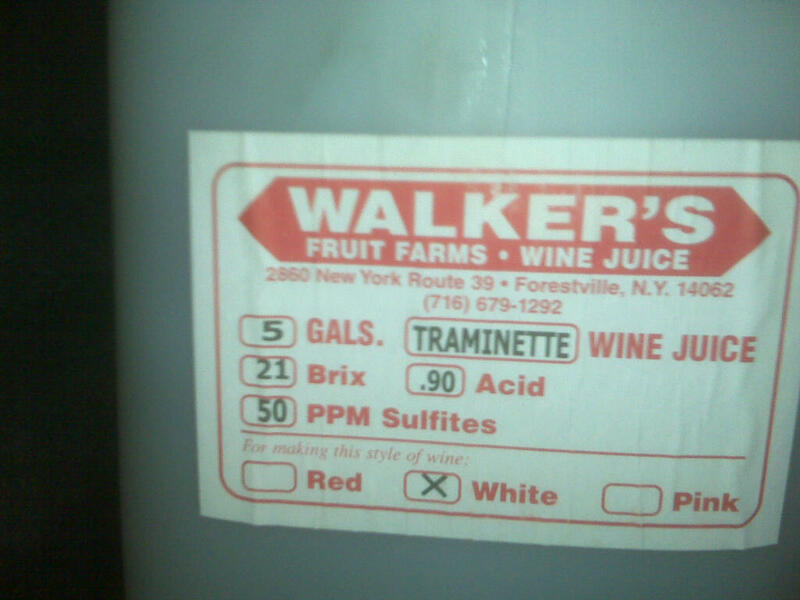 I would be able to tell you more if I had dealt with Traminette juice before, I haven't so I can only go by the "numbers." The brix level ended up being 21, just as the label said. Same for the pH, I didn't test the TA, but the juice tastes good. I'll know more when it is a little further along.